Dish Network customers who are tired of switching inputs on their TV to move between satellite TV and online streaming will be happy to hear they can now sign into their Netflix accounts right from their Hopper set-top box. 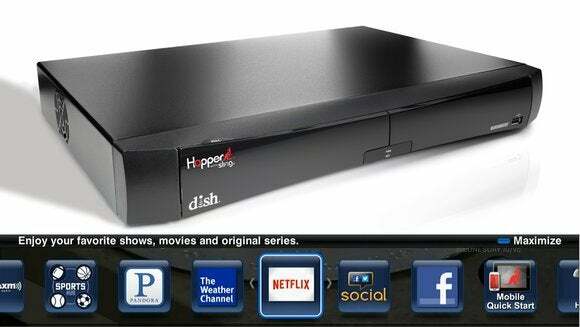 This makes Dish the first pay-TV provider in the U.S. to provide Netflix streaming through its DVR. Netflix service won’t come for free, of course; Dish subscribers will still need a Netflix subscription. But for Dish customers who don’t have a smart TV, a home-theater PC, or a stand-alone streaming device (an Amazon Fire TV, Chromecast, or Roku, for instance), being able to stream Netflix right from their second-generation Hopper set-top box will be tremendously convenient. Once they’ve linked their Netflix account to their Hopper, they need only push the blue button on their Dish remote and then select the Netflix icon on the TV. 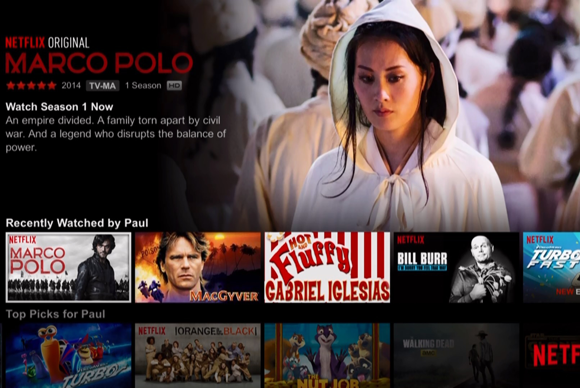 Dish Network subscribers with second-generation Hopper set-top boxes can now watch Netflix originals such as Marco Polo without needing to switch their TV inputs. Why this matters: Cord cutters won’t give a whit about this announcement, but it’s a major convenience for Dish customers. It’s good news for Netflix, too, because Dish has just removed a barrier to entry for potential new subscribers: They no longer need a smart TV or a streaming box. But why is Dish making it easier for its customers to sign up for Netflix at a time when Dish is poised to launch an over-the-top (OTT) pay-TV service of its own? The OTT offering is no secret; company chairman Charlie Ergen discussed this move openly during Dish’s Q3 2014 earnings call. The strategy makes sense only if Dish is convinced its upcoming OTT service won’t cannibalize its existing pay-TV subscriber base. Making it possible to stream Netflix using Dish equipment will help Dish retain customers who are reluctant to cut the cord. And offering an OTT service enables Dish to offer something to its customers who aren’t so squeamish about losing access to live TV.